Clark Kent ducks into a nearby telephone booth for a quick change into Superman! 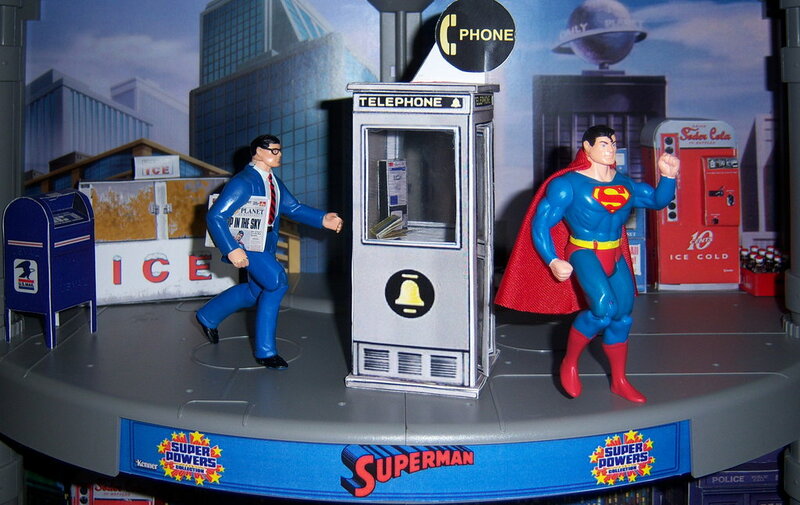 Its a phone booth for Clark Kent to use for a quick change into Superman! The plans are presented here without instructions for the experienced papercrafter. They really aren't that hard to follow, just print out on 8.5" x 11" cardstock, cut out the images, and glue it together. Use the picture above for reference. For best results cut out the windows and add in some clear plastic. follow the link to the left to get the plans for the phone booth.